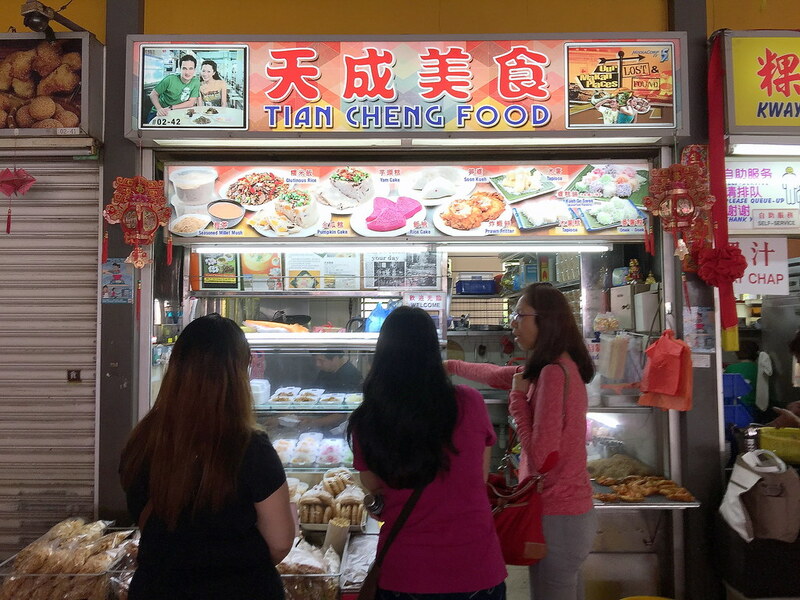 Having been to Tiong Bahru Market and Food Centre numerous time, this is my first time visiting Tian Cheng Food (天成美食). The stall sells a lot of Chinese light bites and snacks. What caught my attention was the fried to golden brown prawn fritter. 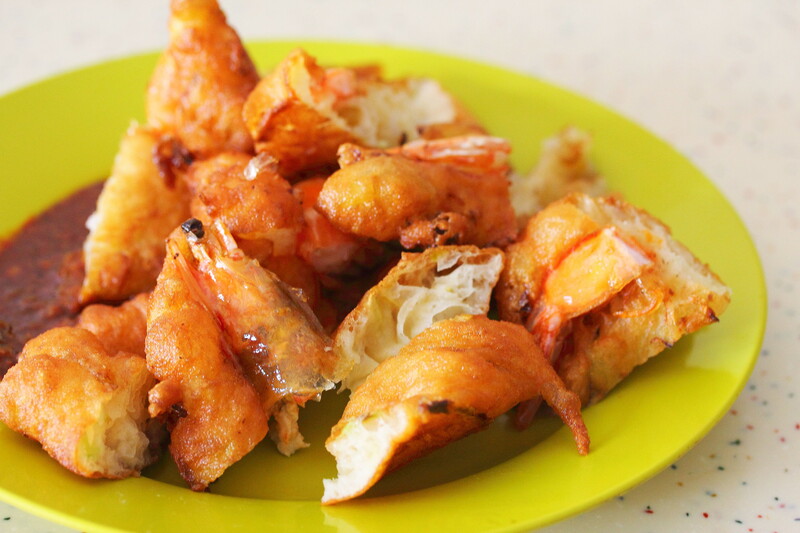 The Prawn Fritter ($1.50) is deep fried to golden brown with a whole prawn on it. It is to be eaten together with the shell. Do be careful if children is eating it as the shell of the prawn head may cut the tongue if one is not careful. 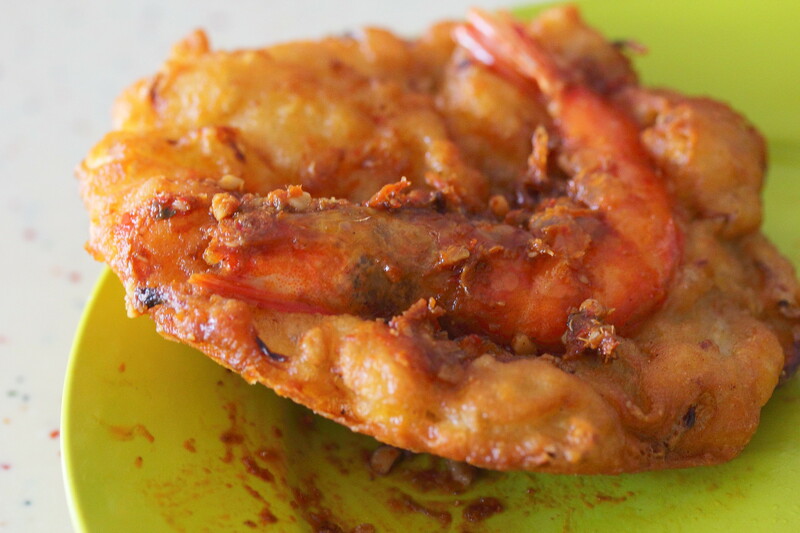 You can ask the stall owner to cut the prawn fritter, so that it is easier for consumption. I like to have it together with the chilli sauce. The prawn which can be eaten with the shell is crispy giving it a contrasting texture on top of the pillowy, doughy base, almost like bread. 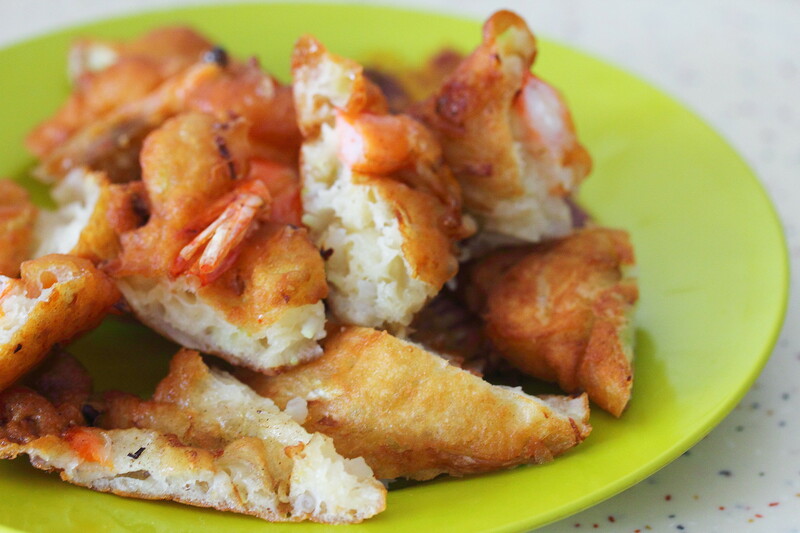 The prawn fritter may not be delicacy but it definitely is one of those local snack or if you want to call it street food that is comforting and enjoyable.